I had bought a.fiat punto that would not rev. Found the head gasket had gone between 2 cylinders. Replaced the gasket and it fixed the problem. So going to try that route first. A simple gasket check test will save you the bother of replacing it. If you carry out a leak down test on each cylinder it will reveal if the gasket is ok or not, or a basic compression test will show a shared compression between two cylinders. I tried that but i got a reading of 0 compression on all cylinders which can not be true. With oil and water mixed in the radiator and on the oil filler cap it's a good sign i have an issue. Latest thought. Although the replacement ecu got the car running it still cuts out after a short lenght of time. 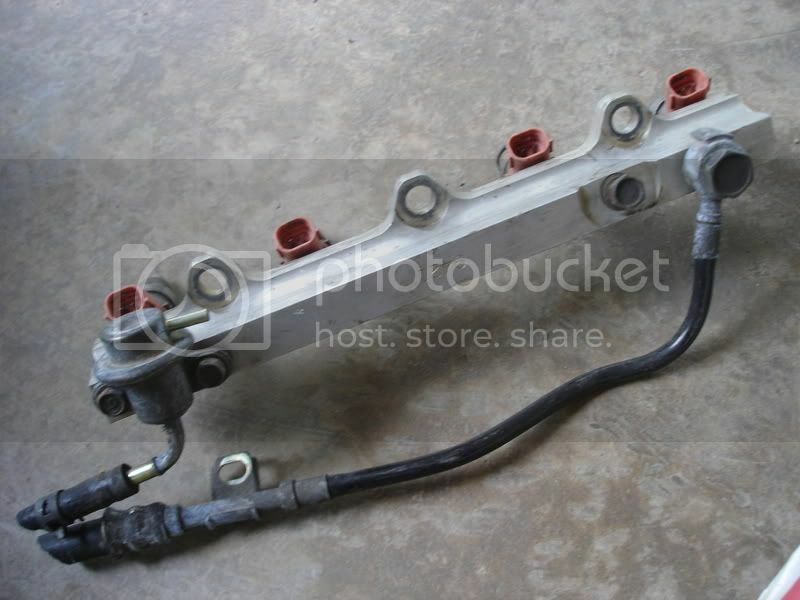 I know the fuel pump still holds pressure until after it stalls so it might be due to it being the incorrect ecu. Have ordered a spark tester to see if the spark plugs are still trying to spark when it cuts out. Will need to sort out your compression & HG issue before spark is an issue. You must be chasing several problems or have an extremely bad run of luck. The car was only £200 and not been on the road for over 17 years. If it had been on the road recently or was a couple of grand i would be disappointed, as it is I expected problems so just need to deal with one at a time. My old mgf known for head gasket issues would still tick over and rev when the hg went. I've owned over 80 cars in the last 30 odd years but not come across this issue before. As above, have a basic compression test done to eliminate a shared compression issue, then carry out a leakdown test to reveal a HG issue, then and only then can you move on to other things further down the diagnostic tree. Also, i have a pretty mint low mileage 4a-ge sat here if you find you'd rather just replace it all for something that 100% works without further hassle. Happy with what i have. It was always ment to be a replacement for my 1972 spitfire, that I've now had for 19 years so will store it in my newly built garage over the winter and plan to have it up and moted ready for classic car show at nec in march. The very nice man from the RAC says after looking at the car and listening to it that the head gasket has not gone just moisture from standing a long time and that the fuel pressure regulator is probably blocked slightly because it runs for about 10 seconds now and is cutting out but still trying to spark and inject fuel. As above, carry out a simple leak down test while examining the coolant filler point for bubbles, that will 100% confirm/deny a head gasket issue, LOL @ the RAC man "listening" for a head gasket failure on a Mk1 Mr2..... no. He sounds like an idiot, if your regulator was partially blocked that would not stop the engine running, even a fully blocked or closed regulator would just give you very high fuel pressure, it would still idle all day long..... try this, clamp off the return line that goes from your regulator to the tank, see if it makes any difference to your issue. If it does run permanently while doing that then your regulator has been jammed open, not blocked, and a new reg will fix it, but if it makes no difference then he's talking rubbish. I was a Green Flag breakdown mechanic for 5 years before specializing in Mr2s and i can assure you the RAC and AA do a lot of guessing as i went to a lot of jobs they had previously attended. As before though, unless you actually eliminate the head gasket with a leakdown test you won't be able to move further down the diagnostic tree. I'd have that car diagnosed and probably fixed within 30 mins or less if it was here. He told me what was wrong. I followed his advise and now it is rinning perfectly. The copper washer from the fuel pipe union to the fuel rail was slightly to small and had gone into the regulator blocking fuel supply. I changed the washer and have now had the car running and reving when required for at least 10 mins with no oroblems. He had said that it sounded like ut would run for a lityle bit because once it had used up the fuel in the rail it was not getting the correct pressure to stay running. I'm glad you got it running but honestly that makes zero sense at all, the regulator has nothing to do with supply as the regulator is after the rail, so it makes no difference to actual supply, the reg controls pressure and return to the tank, so if it gets blocked the rail just sees high pressure, not a fuel blockage. As you can see, fuel goes in on the banjo fitting on the right, and the rail gets filled, then hits the reg on the left and that controls the return to tank fuel flow, thus governing rail pressure. If it was jammed shut the rail still sees pressure, just too high, but will still run all day long. I am guessing it must have been jammed open, not blocked, that would give you no fuel pressure. It was the washer jammed in the bolt that the banjo goes round. probably had not got the components names right as I'm a plasterer not a mechanic. The pressure reading was taken from the pipe leading to the banjo bolt near the clamp that holds the pipe to the engine.